The concentration of research activities in cities is a common pattern. In Athens this phenomenon involves both public and private research and innovation bodies, along with the corresponding R & D expenditure. 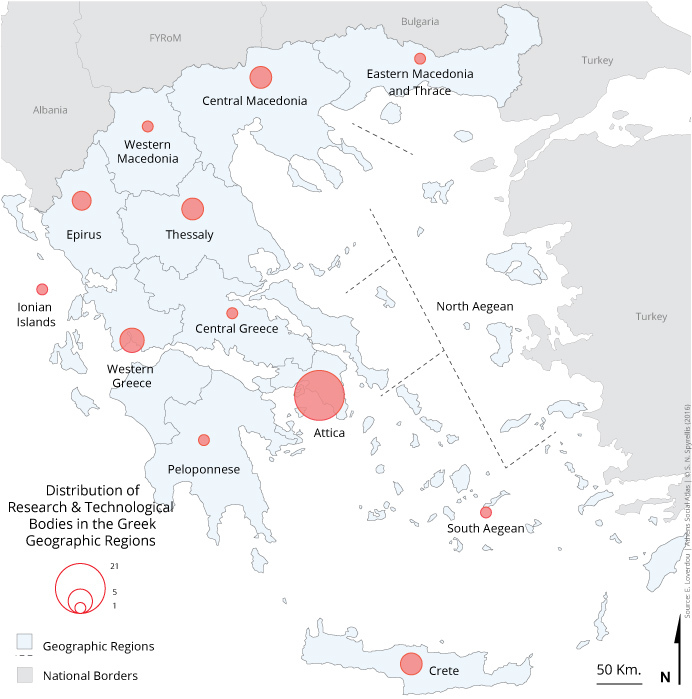 Specifically, Attica gathers 55.7% of this expenditure, followed by Central Macedonia (13.7%) and Crete (7.6%) (Table 1). This concentration is a result of high population density, the presence of a large number of companies, the favorable geographical position of the region, transport infrastructure and, above all, the proximity to central government. Attica is the most dynamic region of the country in terms of research activity, as it gathers a significant number of research and educational structures. However, despite the existence of a critical mass of educational and research infrastructure, and corresponding research personnel, Attica ranks among the group of «Moderate Innovator» European regions according to the Regional Innovation Scorecard (RIS 2016). Attica is the only region of the country where research activity is divided roughly equally between universities and research centres, on the one hand, and the business world, on the other. Specifically, in the Attica Region higher educational institutions and research centres carry out 51.6% of the total research activity, while a 46.9% is carried out by the business enterprise sector. Although the latter is comparatively higher compared to other regions of the country it still ranks below the EU27 average of 63.2%. 22.5% of the Region’s research activity is carried out with state funding by the research centres and institutes not comprised in higher education, most of them supervised by the General Secretariat of Research & Technology (Ministry of Education, Research and Religious Affairs). Based on a study on the regional dimension of the knowledge-intensive activities in Greece, in other Regions the vast majority of research activities is carried out either by the higher and post-secondary education sector or the government sector. The aforementioned research and technology institutes are public sector organizations although their legal status varies (public law entities, private law entities, limited liability companies). , From an organic point of view (public law entities exercising authority) or a functional point of view (designed to serve a public purpose or public service) they are all General Government agencies. The majority are supervised by the Ministry of Education, Research and Religious Affairs, as well as other ministries. 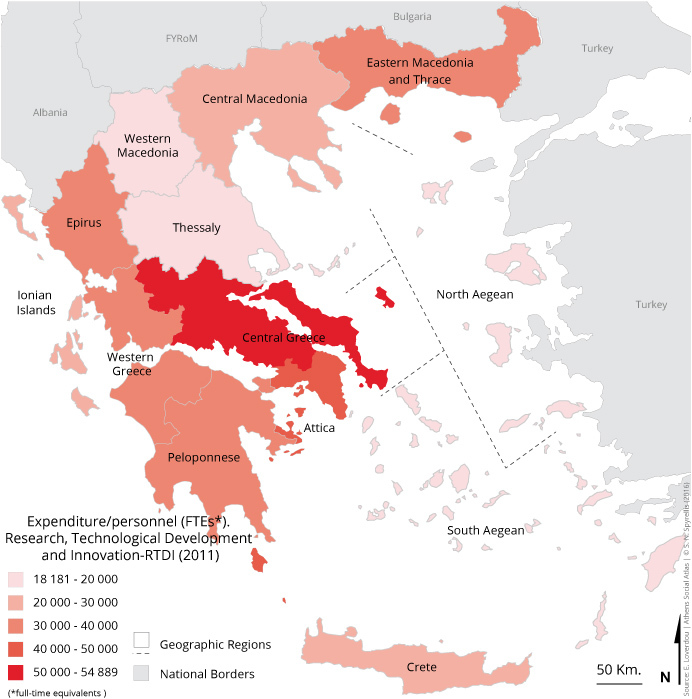 Four regions (Attica, Central Macedonia, Western Greece and Crete) have relatively higher research and development activity, despite lagging in performance compared with the advanced regions of the EU. The research activity is concentrated in areas where there is accumulation of research centers and universities, while other regions almost entirely lack almost any kind of knowledge-intensive specialization (IOBE report, 2015). The Attica region concentrates 79% of the research and technological bodies under the supervision of the General Secretariat for Research and Technology and 78% of all other public research organizations. A brief description of the research institutions located in Attica follows below. It does not include higher education institutions, which are subject to a separate administrative structure, although they carry out 55% of the total research output of the country. The institutions presented in the following are uniquely devoted to research activities. Environmental Research and Sustainable Development. 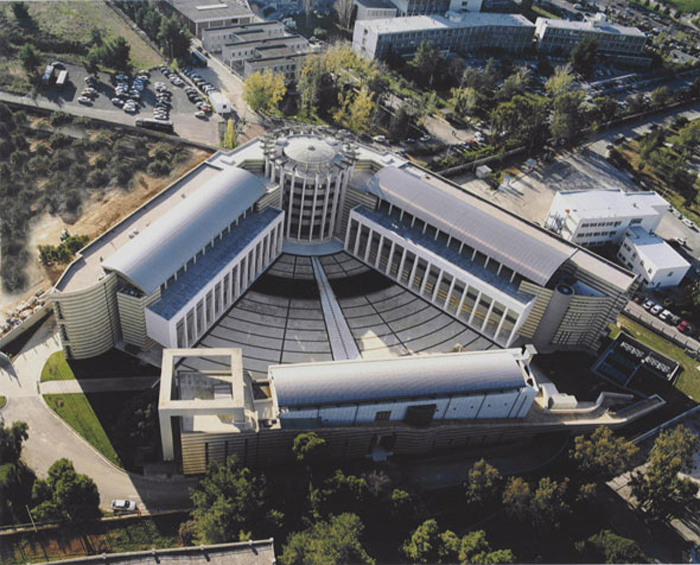 NOA offers a critical public service, including the daily monitoring of seismicity and issuing earthquake alerts to the Greek State Authorities on a 24/7 basis, weather forecasting, ionospheric activity recording, continuation of a 150 years long climatic dataset, the operation of one of the largest telescopes in Europe etc. 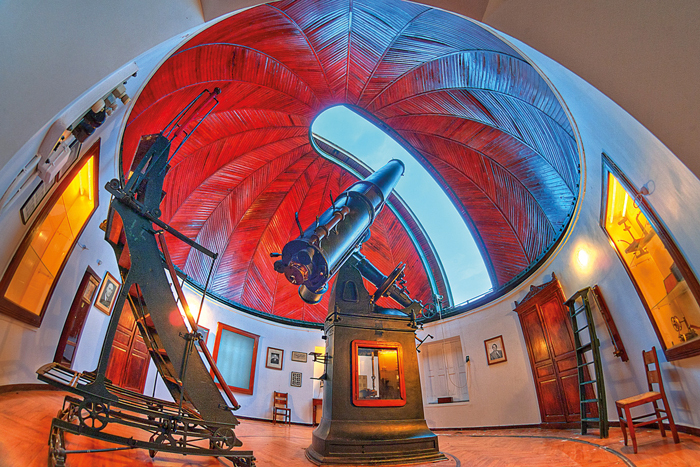 The research center also has an important contribution to public outreach via its visitors’ centers at Penteli and Thission. Nuclear & Radiological Sciences & Technology, Energy & Safety. NCSR focuses its interdisciplinary research efforts on the thematic areas of health, biology and biotechnology, new materials, microelectronics and nanotechnology, environment and sustainable development, nuclear physics and particle physics, information technology and telecommunications, nuclear technology and radiological protection and cultural heritage. 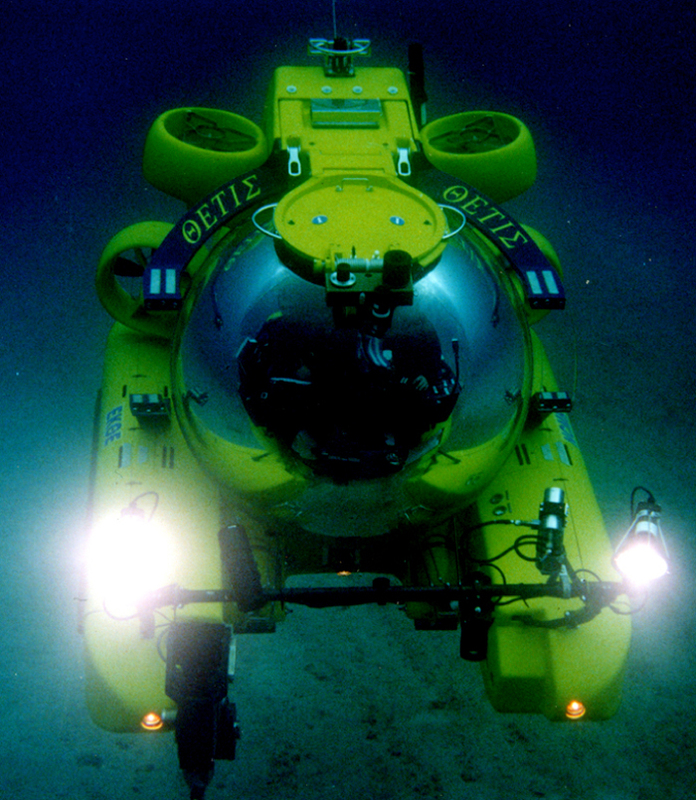 The purpose of HCMR is to conduct scientific and technological research, experimental development and demonstration, dissemination and application of research results, particularly in the fields of study and protection of the hydrosphere, its organisms, its limits with the atmosphere, the coast and the bottom, the physical, chemical, biological and geological conditions that prevail and regulate these systems. It was established in 1959 under the auspices of UNESCO and it is the only public research center of the country in the field of social sciences. 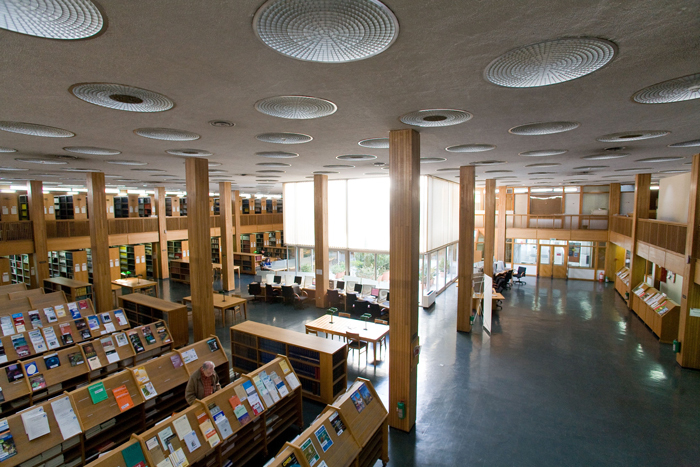 After the merger of its three Institutes (urban and rural sociology, political sociology and social policy), EKKE now consists only of the Institute for Social Research. Its purpose is the study of structures, mechanisms, practices and perceptions regarding the Greek socioeconomic formation and its changes in the European and the international milieu to help understand and manage it. It was established in 1920, is jointly supervised by the Ministry of Education, Research and Religious Affairs and the Ministry of Health and it is a member of the International Network of Pasteur Institutes. 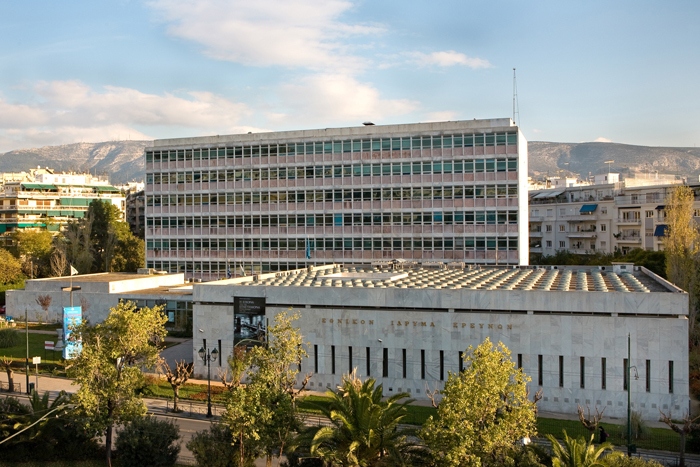 In 1975, after the signing of a bilateral agreement between the Greek Government and the Pasteur Institute of Paris, the Greek Pasteur Institute began to operate as a not-for-profit private law entity. The study of infectious diseases is a substantial part of the research activities of the Hellenic Pasteur Institute, while research is also carried out in the fields of immunology and neurobiology. HPI is a pillar for Public Health nationwide with the operation five National Reference Laboratories, in collaboration with the Ministry of Health and international organizations, for surveillance and epidemiological control of important viral, bacterial and parasitic infections and the treatment of epidemic diseases with high mortality. The activities of the Institute also include the operation of the Vaccine Production Unit. 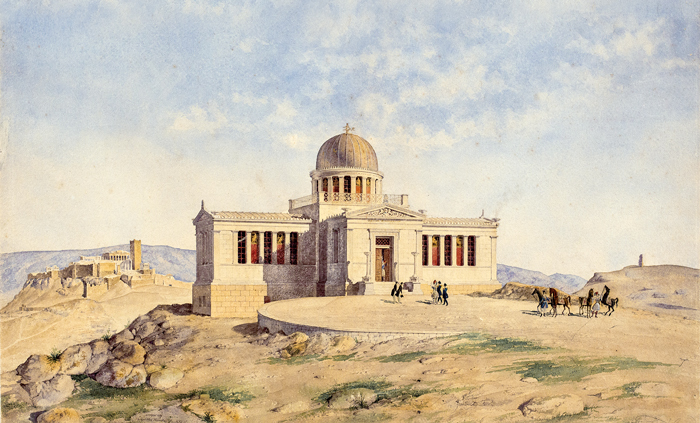 The Institute of Historical Research covers a broad study and research spectrum of Greek history and culture, while the Institutes of science perform basic and applied research in frontier areas such as health, drugs, environment, biotechnology and new materials. 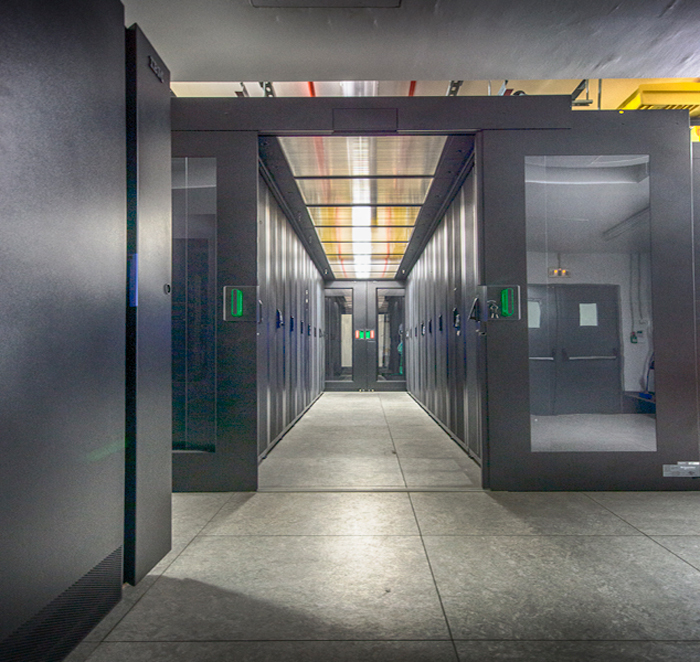 NHRF also operates the National Documentation Centre (NDC), a scientific facility for national use and the main national organization providing electronic information and support services on research, science and technology. active in a wide range of areas: large networks and data and evidence bases (scientific, business, cultural, etc. 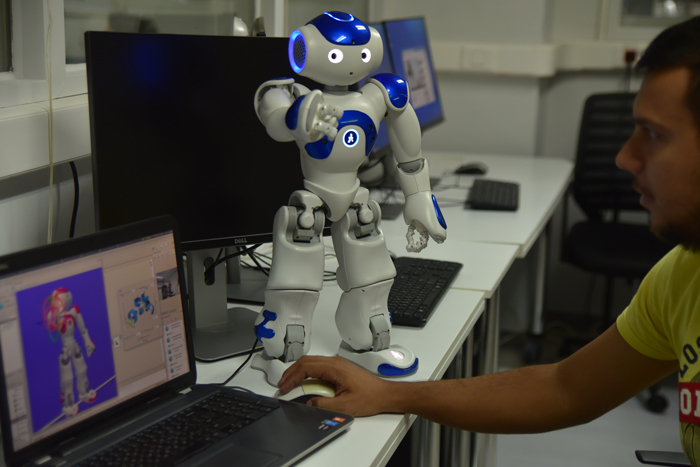 ), embedded systems, automation, robotics, artificial intelligence, digital content editing. “Athena” also hosts the “Corallia” Technology Clusters Initiative. It is a public-private partnership aimed at boosting entrepreneurship and innovation in knowledge-intensive and exports-oriented technology segments. It was founded in 1995 and consists of a single Institute. One of the main objectives of the research carried out at BSRC “Al. Fleming” is to identify the pathogenic functions of various genes in the pathogenesis in the mammalian organism. It is also distinguished for its expertise in the fields of cellular immunology, disease modeling, the construction and analysis of classical and variables transgenic mouse systems, post-transcriptional regulation of gene expression, intra and extra-cellular mechanisms of transfer signals and functional genomics. It is the national regulatory authority responsible for radiation protection and radiological and nuclear safety. It was established in 1954 and reorganized in 1987. Its mission is to protect the public, workers and the environment from ionizing and artificially produced non-ionizing radiation. Also, the control and supervision of nuclear technology application, nuclear science and radiation in industry, agriculture, electronic communication, health, biological and other sciences, the safe and peaceful use of nuclear energy and technology applications and the safe management of spent fuel and radioactive waste. The Greek Research and Technology Network (GRNET) began in 1995 as a project of the General Secretariat for Research & Technology (GSRT), Ministry of Development. In 1998 GRNET was created, the GRNET operator, as a technology company of GSRT along the lines of the National Research Network (National Research Networks) of the European Union. 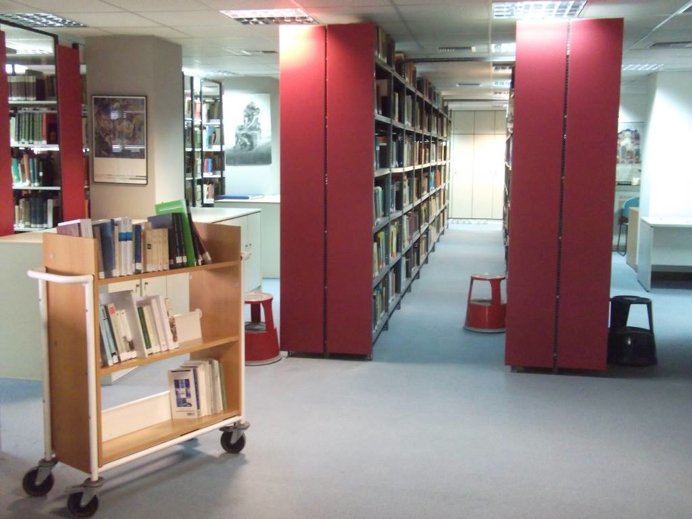 GRNET provides National and International High Capacity Interface services to the Greek academic and research society. In particular, it provides interconnection services for the two basic educational Access Networks in the country: the Academic Internet (Gunet) and the Greek School Network. It serves more than 70 bodies and about 190,000 users (researchers, students and higher education research staff, academic and electronic libraries users, teachers and students of Primary and Secondary Education). It was established in 1987 as a private law entity. It is the national agency for renewable energy sources, the rational use of energy and energy saving. Its main purpose is to promote applications in the areas of its responsibility at national and international level, aiming to reduce environmental burden in the energy production/transfer/ use chain. Hellenic Milk and Meat Organization. It is a private law entity belonging to the public sector and exercises all the powers of the merged entities. Control of Pesticides and Plant Protection Products. The institute covers the scientific spectrum of plant protection and plant health while studying and proposing measures for safety and quality in primary production and minimization of the possible impact on the environment and humans. It was founded in 1972 as the National Institute of Geology and Mineral Exploration, as a private law entity supervised by the Ministry of Culture and Science and the Ministry of Finance. In 1976 it was renamed as Institute of Geology and Mineral Exploration (IGME), supervised by the then Ministry of Industry and then the Ministry of Development. IGME is the statutory technical advisor of the State in geoscience issues. Its main aim is the geological study of the country, the research and evaluation of mineral and groundwater resources (except hydrocarbons). It acts as the National Geological Service, whose aim is to map, record and acquire the knowledge of basic geological structure of the country through mapping, geochemistry, geophysics, remote sensing, geoscientific databases etc. It was established in 1959 as a small research unit under the name “Center for Economic Research.” In 1964, KEPE acquired its present name and organizational structure along with the additional responsibilities of (a) preparing short, medium and long-term development plans (including plans for local and regional development, and public investments); (b) analyzing contemporary developments in the Greek economy, engaging in short and medium-term forecasts, and formulating proposals for development policies; (c) training young economists in the fields of planning and economic development. It is the largest research institute for economic science in Greece as regards the investigation of matters relating to the Greek economy. It was established in 1983 as a private law entity supervised by the Ministry of Infrastructure, Transport and Networks. Its purpose lies in the processing and planning of earthquake policy of the country, along with the coordination of public and private resources activities for the implementation of this policy. 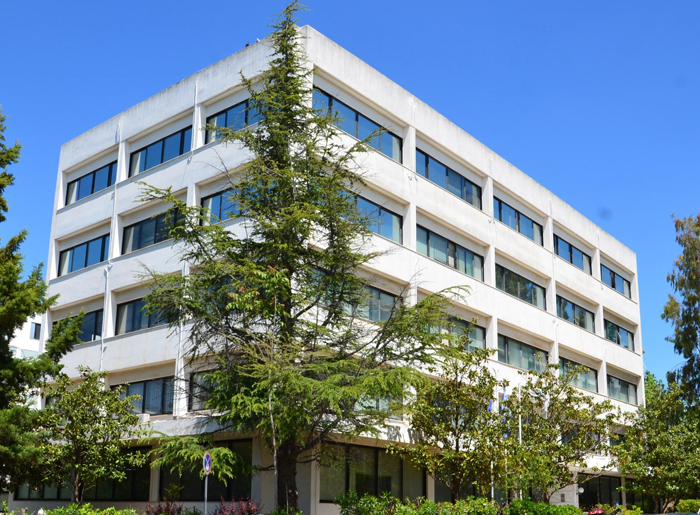 In 2011, the Institute of Engineering Seismology and Earthquake Engineering (ITSAK), which was founded in 1979 in Thessaloniki, was abolished as a separate public entity and merged with EPPO. It was established in 1999 as a public benefit organization under private law, supervised by the Ministry of Environment, in order to provide reliable and comparable information on the environment, contributing to the elaboration, implementation and evaluation of policies, programs and measures concerning the environment and sustainable development, the corresponding scientific support of the government and the submission of proposals to competent bodies. In 2011 a decision of the competent Minister of Environment merged the “National Centre for Environment and Sustainable Development” with the “Institute of Geology and Mineral Exploration” by absorption of the second from the first, which was renamed “National Sustainable Development Centre”. 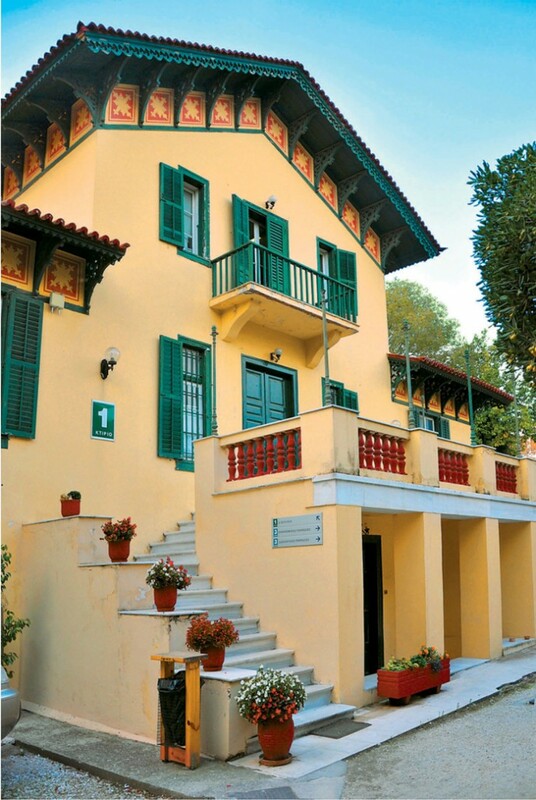 In June 2015, by a joint decision of the Minister of Productive Reconstruction, Energy and Environment, the Institute of Geology and Mineral Exploration was detached and reconstituted as IGME while EKVAA was renamed National Environment and Sustainable Development Centre. .
Greek Clay Center. The new unified MIRTEC incorporates the certification activities and the laboratories of the Greek Standardisation Organisation (ELOT S.A.). It is a mixed type public interest corporation, the share capital of which involved both entities and companies of the public sector and private companies. MIRTEC operates under the supervision of the General Secretariat for Industry of the Ministry of Economy. It is a multidisciplinary center for laboratory testing and certification of industrial and consumer products, materials, facilities and management systems. 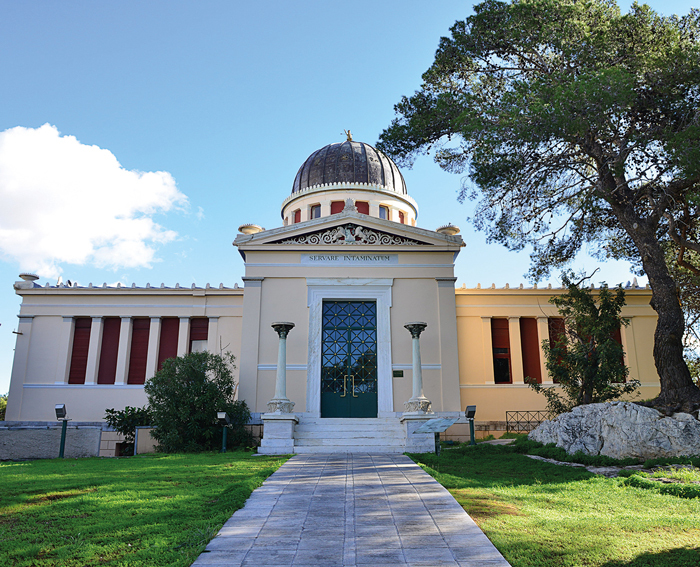 The Academy of Athens operates 13 Centres and 10 Research Agencies with specialized libraries and the “Ioannis Sykoutris” central library. Since 2002, the Foundation for Biomedical Research of the Academy of Athens (BRFAA) operates under the supervision of the Academy of Athens and is mentioned here since its activity is in close coordination with the other entities mentioned in this presentation. The primary objective of BRFAA is to support basic and clinical research, creating the ideal environment for the development of translational research linking laboratory findings to clinical practice. The BRFAA includes 10 research centers specializing in different aspects of biomedical research – two Basic Research Centers, Center of Systems Biology, Center of Cancer Biology, Center of Neurobiology, Immunology and Transplantation, Center for Nanomedicine, Experimental Surgery, Clinical Research and Environmental Health Center. 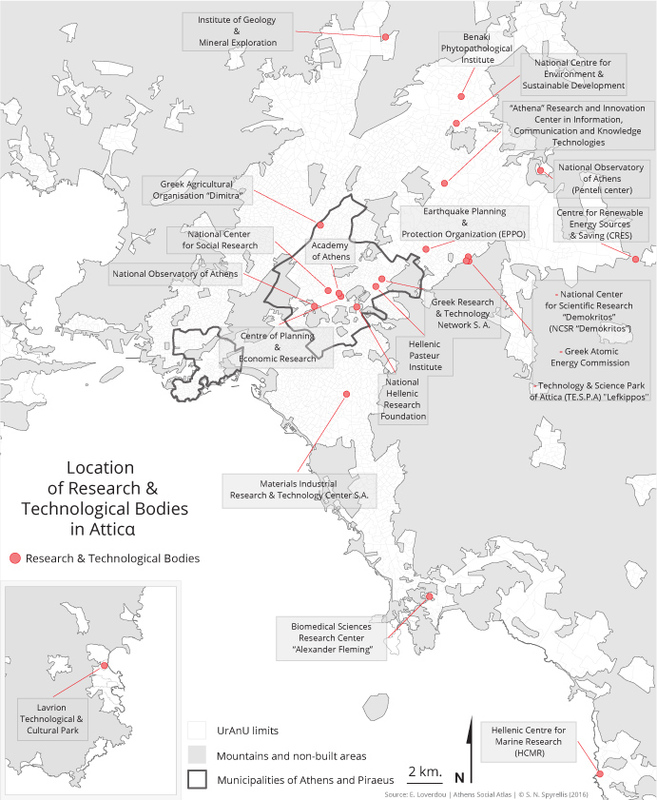 After setting out the above, it can be clearly inferred that Athens and the Attica Region host the vast majority of research and technology organizations in the country, as well as academic institutions and businesses. The positive consequence of this extensive concentration is the existence of high-level human resources, who, through appropriate structural interventions can contribute to reshaping the innovative profile of the Region and the country as a whole.